Bin Tariq Marine is the internationally known brand of Business and Engineering Trends. 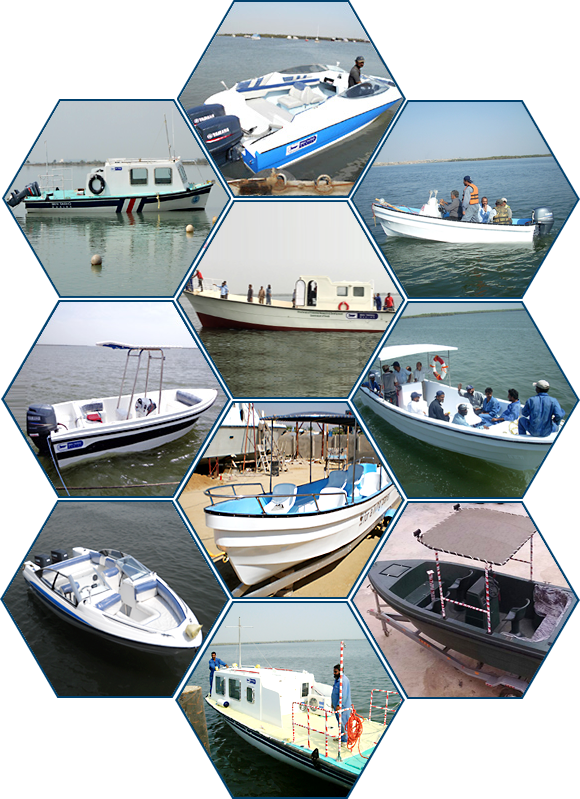 The company is the pioneer in boat building in Pakistan. With over 4 decades of innovative boat design and engineering, Bin Tariq Marine has supplied more than 3000 boats to the country's marine sector. From a legacy of hull design breakthroughs that changed boating from simple rescue and relief to dominating recreational and multi purpose power boats Bin Tariq Marine now delivers. Today it is acknowledged as the national leader and biggest boat builder in Pakistan. Since 1976, we have been producing boats in hand laid fiberglass with remarkable craftsmanship. A design optimized to provide a stiff, durable and yet light weight structure, top quality deck fittings and interior finishing materials. This assures our customers of reliable and meticulously finished product. With extensive in house manufacturing capabilities, our European and Japanese certified technicians and engineers master and control the key technologies and material knowledge to create boats of an exceptional standard. We are proud of the achievements of our workforce and their striving to help redefine power boating every single day. Throughout the decades, Bin Tariq Marine has always pursued the more advanced, the more ambitious, the more creative and consequently and the more successful. Today the company has collected numerous awards both internationally and locally, rewarding our commitment and passion to meticulously create the right boat for every customer. We look forward to welcoming you aboard!